June 25, 1933. 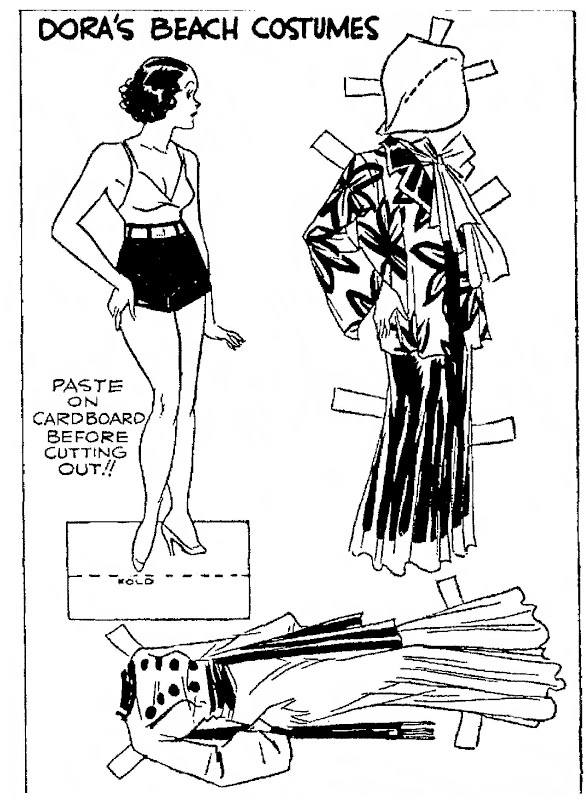 A DORA paper doll and her beach costumes. From the comic strip "Dumb Dora".